A fantastic example of a large Victorian pine sideboard/chest of drawers. 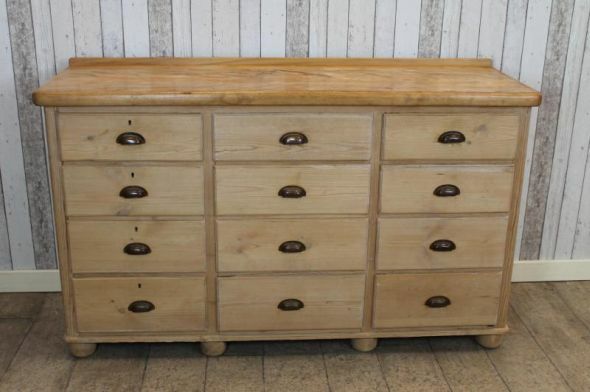 This piece is in lovely condition for its age, and with its multitude of drawers that still retain their original brass handles, this is a fantastic storage unit for any large country kitchen, hallway or bedroom. It is unusual to find a piece of furniture like this in such good condition for its age.